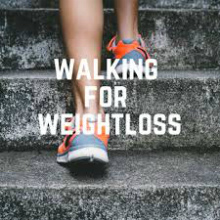 Benefits of Walking for Weight Loss Part 1. Walking Can Help You! This exercise also increases your energy, because, when your life is full of movement, you become more trained and active. Besides that, it stabilizes your blood pressure – if the vessels are toned, they’re less prone to hypertension. And there are important psychological benefits of walking that can’t be underestimated. If done right, walking is a joyful activity which can improve your mood, especially if the weather is warm and sunny. It can beat depression and make you happier. And after all, it boosts your self-esteem, because you begin to respect yourself for overcoming your laziness and becoming more active! 1Wellness walking. How to walk the right way? Wellness walking. How to walk the right way? The wellness walking makes a complex influence on the human organism in different ways. 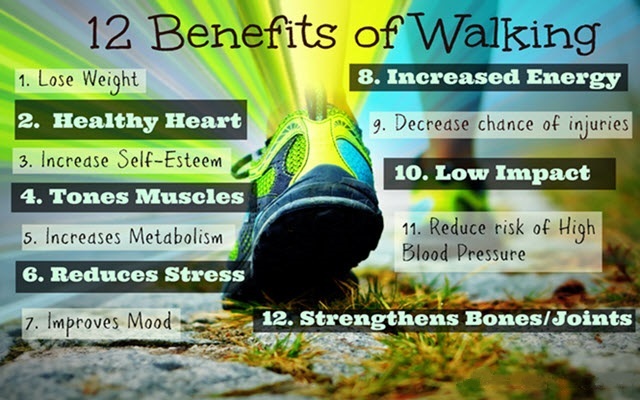 There are many benefits of walking. First of all, it’s an expenditure of energetic substances like fats and carbohydrates, proportional to the length and speed of walking. It’s important to say that the human body, as a biological species, “homo sapiens”, was being formed in the conditions of constant hard labour. But in the last 100 years, the amount of physical work has reduced from 95% to 1% because of automatization and mechanization of the industry. Muscular system, which makes up 40% of the male body, became, in fact, excluded from the normal vital activity, and thus everyday energy expenditure sharply decreased, but the usual eating regime has remained almost the same. According to the statistics, an average 40-year-old European with 70-kg body mass spends about 2700 kcal every day and takes in from 3200 to 4000 kcal through food. It’s so-called positive energy balance when intake of the energy is larger than its outflow, and excess of nutrients is accumulated as fat in subcutaneous fat depots and the abdomen. It’s the main reason for most “civilization sicknesses” – because cholesterol accumulates too, causing atherosclerosis with all its complications – hypertension, heart attack, and stroke. So, the deficiency of energy expenditure makes up at least 500 kcal every day. That’s why for the normal body functioning, a modern person needs to add a special exercise complex to his or her ordinary moving activity. Wellness (fast) walking is an optimal variant of it because it provides rather large energy expenditure due to rhythmical contractions of lower limb muscle groups. For example, a person spends about 0.7 kcal of energy on every 1 kg of body mass and 1 km of distance at the 6 km/h walking speed. In such conditions, a person with a body weight of 70 kg consumes approximately 350 kcal. By everyday wellness walking in this regime, weekly expenditure of energy will make up additional 2000 kcal, what will provide a threshold (minimal) effect of the energy expenditure deficiency compensation. This is the consumption of energy resources which can prevent cardiovascular diseases and cancer, the main causes of death in the modern world. Besides the expenditure of required minimal energy amount, there are more health benefits of walking. During the walking, you spend exactly those resources which are a direct threat to your health, – complex fats and triglycerides. They are responsible for cardiovascular diseases. “How many calories do I burn walking?” – you probably ask. Carbohydrate and fat resources of the organism are spent on the energy supply of the muscles. With the oxidation of 1g of carbohydrate, 5 kcal are released, and with 1g of fat – 9,3 kcal. When oxidated, fats (fatty acids) give out twice, as much energy as carbohydrates, but they oxidate harder because it requires much more oxygen. It means that carbohydrates oxidate easier than fats, that’s why they provide energy to muscles during intensive work (for example, fast running). The less the intensity, the more the fat expenditure, and vice versa – if the running speed is faster, carbohydrates play a bigger role in the energy supply. As you may see from the table, the faster the running speed (and thus, the shorter is the length of distance), the more carbohydrates contribute to the energy supply (because they oxidate easier and require less oxygen), and vice versa – the slower you run, the greater is the percent of fats. So, during the fastest run for 5000 km, fats take almost no part in the supply – only 10%; on the marathon distance, the percentage of fats and carbohydrates is almost equal, and during the all-day running (such competitions really do exist! ), the majority of energy is provided by the oxidation of fats. That’s why, despite the fact that wellness walking speed is much slower than in sport running (to be exact – thanks to it), farmers walk benefits are better than the benefits of running. It’s the optimal form of physical exercise for fat exchange normalizing, preventing atherosclerosis and other “civilization illnesses” connected to hypodynamy. What are the benefits of walking vs running? 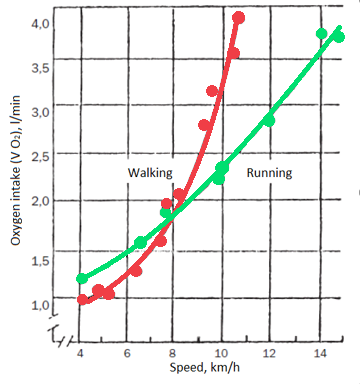 In the diagram below, you can see that with the same speed of walking and running – in the intersection of the curves – the energy consumption is equal; the consumption of oxygen in both cases is 1.8 litres/min, the equivalent of 9 kcal/min (1l of oxygen gives out approximately 5 kcal of energy during the oxidation of carbohydrates and fats). With further increase of the walking speed – over 7 km/h – energy expenditure grows more than during running at the same speed, and walking becomes too stressful and hard. That’s why in wellness training, its speed must not exceed 6.5-7.0 km/h. However, another important effect of wellness walking is its influence on the blood-circulating system and increase of aerobic abilities. The biggest and most visible benefit of walk for the cardiovascular system is the normalization of arterial blood pressure – either high or low. It can be explained by normalization of vascular tonus, the tension of blood vessels’ walls, which makes up the main influence on the blood pressure. Low blood pressure (hypotension) is more resistant to aerobic training, but if you train regularly during a year, you can achieve positive results, decrease your hypotension to its full normalization. It happens because of better vascular tonus regulation by central nervous system and the increase of the vessel wall’s tension. Normalization of high arterial pressure plays a great role in hypertension, heart attacks and prevention of strokes. Besides that, there is close reversed correlational dependence between arterial pressure and life span, even if it’s normal (systolic 120-140). Arterial pressure is considered normal when the systolic pressure is within the limits of 120-140 mm, and diastolic is between 70-85 mm. When you’re aging, arterial pressure usually grows because of atherosclerosis development and loss of vessels’ elasticity, what causes an increase in peripheral vascular resistance to the blood flow and pressure. The effect of cardiac muscle capillarization, or appearing of new capillaries, which makes blood supply of the myocard better is also very important. 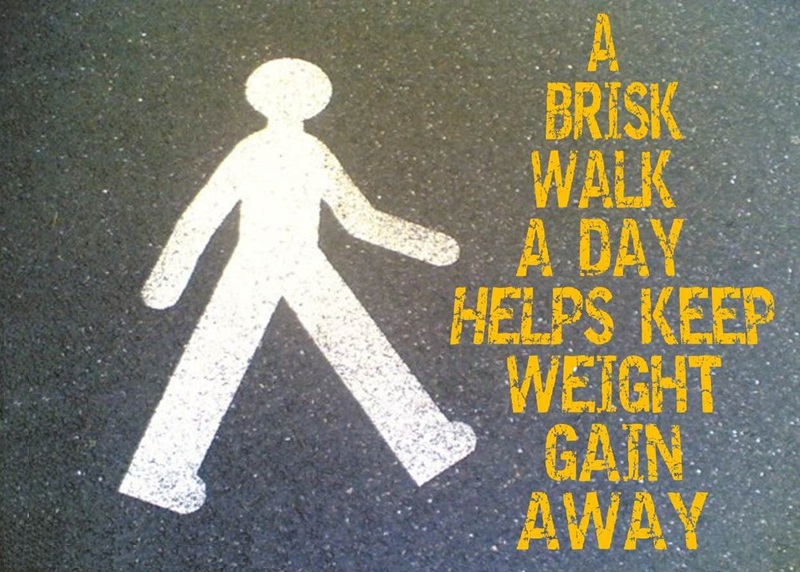 It’s one of the benefits of walking everyday too. According to many observations, the South-Eastern Asian countries with low economic level and high motion activity, where people go on their feet and not in luxury cars like “Mercedes”, almost completely lack heart strokes and cardiovascular diseases, which confirms the wellness role of physical activity and walking in particular. 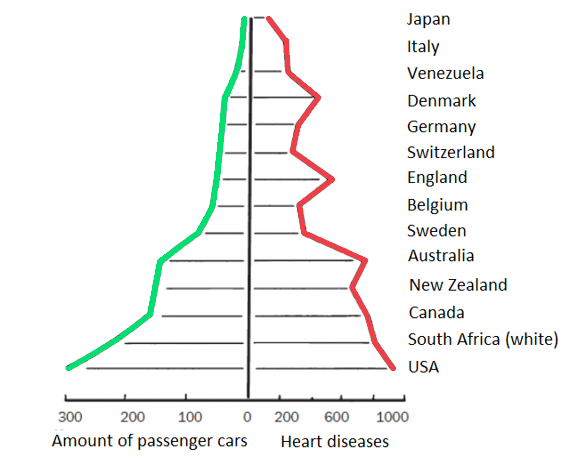 Interesting information about the role of physical activity in cardiovascular diseases prevention is given by Japanese scientists, where, according to statistics, the mortality rate from heart attacks is directly proportional to the amount of individual auto transport in the country. The example of Blattendorf, a little Swiss town situated high in the Alps, is quite convincing too. Because of the steep and dangerous mountain roads, its inhabitants don’t use any auto transport and thus have to go for food to the neighbouring villages by feet. And they get all the main walking health benefits! They don’t suffer from heart strokes, although the mortality rate from this disease is very high in Switzerland. And such examples can be continued. So, after a 20-year observation of 16000 graduates from Harvard University, it was found that the mortality rate in the group that practiced wellness walking and running was four times lower than in the group with little physical activity. Besides that, there are other walking benefits. Wellness walking has an overall influence on the body, like all other physical exercises. To be exact, it raises body resistance to the harmful environmental factors like high and low temperatures, traumas, blood loss, hypoxia (shortage of oxygen), radiation, and emotional stress. The stimulating influence of physical exercises on the endocrine system of internal secretion glands (adrenal and other ones) raises total (non-specific) immunity and resistance to common colds and many other illnesses, including cancer. So, the earlier you begin to do wellness walking, the higher will be your body resistance to cancer. One more important overall effect of wellness walking – the normalization of the central nervous system’s (CNS) functions; to be exact – the balance of excitation and inhibition processes. In the conditions of modern life with a high level of emotional stress, excitation is usually prevalent in the CNS, which leads to heightened ejection of many stimulating hormones into the blood flow. 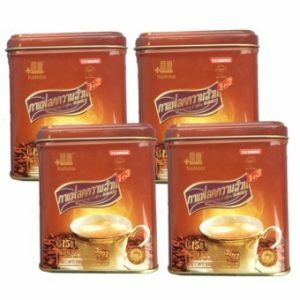 They have a harmful influence on the organism and can cause different cardiovascular diseases – fromhypertensive crisis to heart attacks and strokes. These diseases always come with neurasthenia, high irritability, anxiety, headaches and sleep disorders – and it’s a real scourge of the modern society. Our distant ancestors, in case of stress situations, such as enemies’ attacks, battles, retreats and other extreme situations – solved it through high physical activity, hard muscular work. But in our days, psychological stress, such as problems at work, in families and so on, isn’t accompanied by physical activity, and ejection of excess adrenaline portions to the blood flow isn’t neutralized during many hours. Here’s hypertension, and stenocardia, and heart attacks! Fast intensive walking perfectly eliminates emotional stress, quickly burns down the harmful excess of adrenaline and normalizes excitation and inhibition processes in CNS. It leads to calm sleep, good mood and prevents heart attacks which have become much younger. It can also be explained by the fact that during long and not very intensive endurance work (fast walking or slow running), blood gets “mood” hormones – endorphines (internal morphines), which cause slight euphoria, such as after a glass of good dry wine. And there’s no headache after it! In addition to the benefits of farmers walk, overall and special effects of wellness walking on the human organism which were described in previous chapters, it influences risk factors of cardiovascular diseases: a high percentage of cholesterol in the blood, excessive body mass (fat component) and high arterial pressure. Because of energy expenditure, which is caused by fat oxidation and which will be described in the section dedicated to struggling with obesity, regular wellness walking significantly decreases or even fully neutralizes all three main factors of atherosclerosis development and its complications, stroke and heart attacks – the leading factors of disabilities and mortality of people. 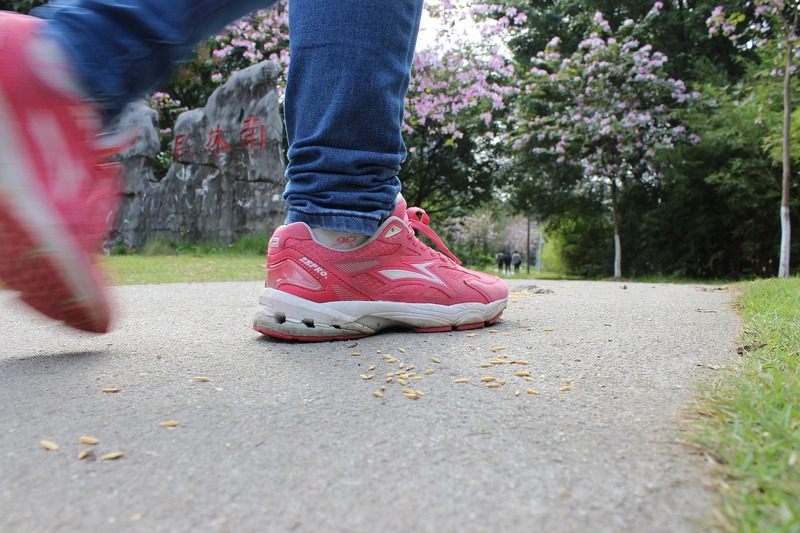 Since fast walking is closely connected to your health, you’ll definitely want to know, how it can affect you personally, what are the benefits of walking that it will bring you, and how to evaluate the condition of your organism. To say shortly, evaluation of personal health level, defining of its “quantity” is really interesting. And it’s not surprising that in our mercantile age – the age of high technologies and unlimited “progress”, when everything can be measured, bought and sold, it also became possible to “scale” our own health and its level. To define your individual health level, we have to learn to define and evaluate the quantity of aerobic possibilities – the more, the better. Since the bigger is the index of the body’s aerobic possibilities, the higher is physical (functional) condition level, physical fitness, and, consequently, health. For the estimation of results, you’ll need to measure your pulse before the exercise, then squat 20 times in 30 seconds and measure the time in which your pulse will come back to its normal rhythm. If the pulse recovering takes more than 3 min, your physical condition is not very good. If after 20 squats, the pulse recovers in 1 minute – your physical shape is wonderful. So, only people with good physical condition have safe health level that guarantees the lack of illnesses. Can you do wellness walking with different diseases? You can read in some popular books that the wellness walking technique is suitable only for healthy people (it would be better to add “and for young ones”). And before starting the training, it’s necessary to go through medical check-up and get the permission of a doctor. But I suppose that these bits of advice are related more to running than to walking. However, it’s well-known that slow running is allowed and even recommended with many illnesses. But, of course, running training have absolute medical contraindications such as congenital heart diseases, expressed blood-flow deficiency, lower limb trombophlebitis, and some others. The same illnesses can hinder fast walking training. But the list of diseases, when the fast walking is forbidden, is smaller than the same list of running. After all, if a person can move, he or she can walk and should do it. Another question is how and at which speed? The most often case of contraindicated walking is when a person can’t walk, for example, after a heart stroke. But even in this situation, walking is an irreplaceable method of physical rehabilitation and restoring of mobility and health. And now, even after the hardest surgical operations, doctors try to activate patients as early as possible, and “bring them back on the feet”. The first and irreplaceable method here is walking – firstly, in the hospital room with external help, then along hospital hallways, and then at home, right away after the discharge. Excess body mass (obesity) along with hypercholesterinemia and hypertension is one of the main risks of heart attacks and strokes because the accumulation of cholesterol in tissues and blood comes together with fat exchange infringement. And it’s the main culprit of atherosclerosis and coronary heart disease. Besides that, obesity is usually accompanied by blood pressure increase – arterial hypertension. So, if you lower your body weight, you normalize two other indexes. That’s why fighting obesity is a very important component in the complex prophylactic of cardiovascular diseases. It’s so crucial that in the USA, for example, it has become a special national programme of weight decrease, along with anti-hypertension and anti-smoking campaigns. The importance of these programmes is confirmed by statistical data: the presence of one risk factor (any of those three) increases the danger of heart attack 2.5 times, two factors – 4.5 times and all three – 11 times. So, after the examination of the Moscow region’s population, people who didn’t have any risk factor, had CHD only in 1.6% of the cases, people with one factor – in 4.4%, two – in 11.4% and three – in 18.4%. A similar situation was discovered after the examination of people in the USA. In 10 years, people with one risk factor had heart attacks in 4.8% of the cases, two – in 9% and all three – in 11.7%. With none of these factors, heart attack was registered only in 2% of all the cases. The physiological basis of body weight normalization is the condition of negative energy balance, or, in other words, a condition during which the expenditure of energy exceeds its intake with food. Nowadays, the population of economically developed countries usually is in the opposite condition – positive, energetic balance, when the expenditure is less than the intake. The excesses of energy accumulate as fat in subcutaneous tissues and abdomen. So, an “average” European man gets 3500 kcal with food, while spending no more than 2800 during usual motion activities (such as going to work or shopping). For women, these numbers are accordingly 3000 and 2200 kcal. Where goes the excess of energy? We all know the answer. Combined with cholesterol, it “launches” all the pathological chain of civilization illnesses: atherosclerosis – CHD – heart attack or stroke plus osteochondrosis, arthrosis, cholecystitis, urine-stone disease and many others. And I should repeat that the only scientific platform for fighting all these is creating a negative energy balance in the organism instead of a positive one. And only after the finishing of the body weight normalization process is it possible to come to an energetic balance level when energy expenditure is equal to its intake. It’s a perfect and hard-to-reach condition for an average person, but it is quite real for aerobic training fans. So, let’s start wellness walking – an optimal solution for energy expenditure increasing, negative energetic balance creating and body weight normalizing; of course, with reasonable limitations of excess calories going to the organism. Aerobic exercises (walking, running) are the basis of physical training because they solve the problem of the main body systems’ wellness, such as blood circulation and breathing. They prevent main reasons of people’s mortality – heart attacks and strokes. To say simpler, they are dedicated to training and heightening of the functional reserves of the systems that fulfill the organism’s basic need – transporting oxygen to the organs and tissues. But besides the heart and vessels, we’ve got the joints and the vertebra which don’t get younger with age too and can cause “little” (compared to heart attacks) troubles. That’s why, to make our wellness system universal and solve all the health problems, some acyclical exercises should be added to the cyclical ones. This kind of exercises is meant to prevent degenerative age-related changes of the locomotor apparatus. They should be added in little amounts, not more than 15% or maximum 20% of the overall time spent on the physical training. These flexibility exercises are for joints, vertebra, and stomach press muscles, which are also directly related to the spine pains. For the prophylactic of arthrosis, you can bend and rotate the joints of your upper and lower limbs. Stomach press muscle strengthening has a special place in preventing osteochondrosis complications, because when they are strained, abdominal pressure rises, creates a kind of air cushion for the lumbar vertebrae and keeps them in the right position, preventing subsidence and pressing on the nerve roots. My favourite exercise here is abdominal breathing with resistance: breathing via the stomach, which is tightly pressed by a leather belt. To stick out the abdominal wall, you must overcome the resistance of the belt. Very effective! This exercise is more physiological than the usual body lifting from the lying position on the back to the sitting position because it doesn’t lead to vertebrae offset, which is absolutely contraindicated during radiculitis exacerbations. Also, it doesn’t cause breathing to stop, strain and a sharp rising of arterial pressure, which is usual for body lifting to the sitting position and completely unacceptable for people over 40 years old. Here’s the minimum of physical exercising, which is required for health strengthening and active, creative longevity. In the next post you can learn about the methods of wellness walking. What are their distinctive features? How do they differ? Which is the easiest and the hardest one? Which kind of walking is more suitable for beginners, and which one – for trained and skillful people? And finally – what walking type is the most suitable for weight loss? How much should one walk? How much time will it take to lose weight by simply walking? How many calories you can burn with walking depends on how often, how far and how fast you choose to walk. 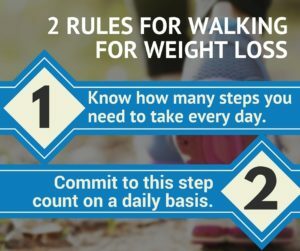 If you aren’t in any hurry to reduce, simply adding a 20-30 minute walk each day and maintaining a low-calorie healthy diet will prompt weight loss. Walking would be considered “low-aerobic” exercise, which means it does not burn that many calories but it still does burn calories. So you have decided to shed some extra calories from your fixed deposit of fat around your body which might be making it impossible to get along with people, or say getting a perfect fit of the dress that you adore. If people want to drop some weight, I don’t suggest them to concentrate on removing things from their diet. People trying to drop some weight or pack their everyday diet with extra produce use Lose Weight with Smoothies routinely.